9. Thank You + Giveaways! 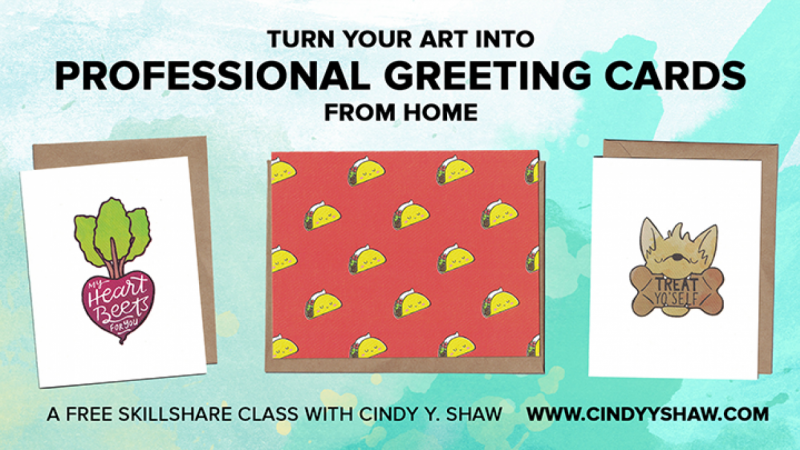 My name is Cindy Y. Shaw and I am a graphic designer and illustrator from Ann Arbor, Michigan. I've always enjoyed stationery and I recently began to sell greeting cards in my Etsy shop, because I wanted to combine my illustration and design skills. I enjoy making my art into greeting cards because it makes them tangible, functional, and shareable. I've come up with a method and set of tools to help create professional looking and consistent cards from home. I've created this class to help you do the same! You will create 3 greeting cards - one design with a bleed, and 2 without. Post your process photos along the way and any lessons you've learned so your classmates and I can follow along! You will also get extra props for posting photos of your packaging and/or styled photos from the bonus videos.